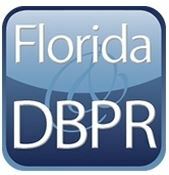 It’s actually quite easy to renew your Florida real estate license online, just click HERE and follow the Department of Business and Professional Regulation online services steps. According to DBPR the current on time renewal rate for a salesperson is very reasonable at $69 for 2 years, and for brokers, $77. Renewal times are twice per year, March 31st and September 30th. The late fee is $45. Even if you’re not planning on selling real estate full time anymore, keeping your license renewed and active is extremely valuable. Did you know that you can just Park your license at Park and Refer and make thousands from your referrals with virtually no effort? There are many benefits to parking your valuable real estate license. Park and Refer is a real estate referral agent brokerage serving agents in Florida, Texas, California, and Colorado. Agents can Park their valuable real estate license, lose the typical agent fees, and keep their income stream!